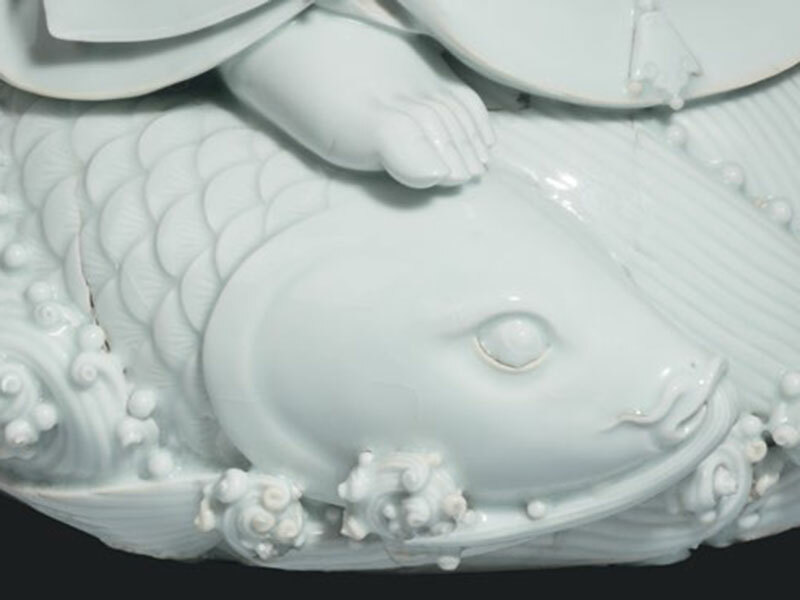 A monumental blanc-de-Chine porcelain figure of Guanyin, standing on a plinth composed of a large carp amongst swirling waves. Her body is slightly turned towards her left and is dressed in loosely fitting robes that fall open at the chest, revealing an elaborate lotus-shaped pendant and leaving only her left foot uncovered. Both her hands are separately made and removable from the wrist. 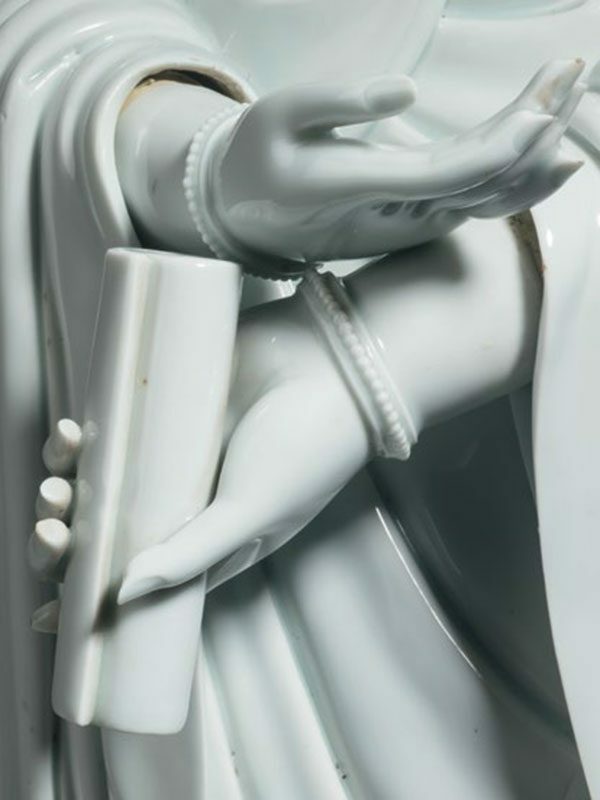 Her left hand holds a scroll, whilst the fingers of her right hand are gracefully extended. The head is slightly turned to the left, and a jewelled crown is placed on her neatly arranged hair in a high chignon. 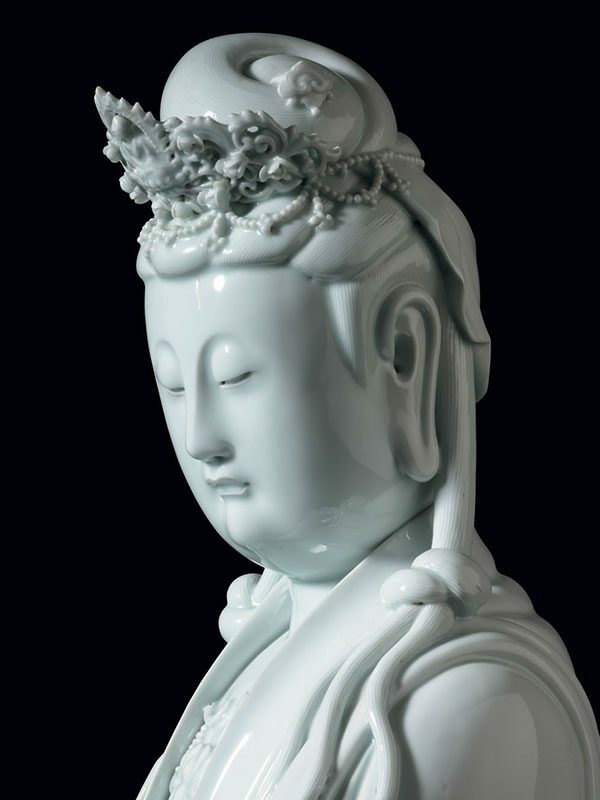 In the middle of the crown is seated a tiny Buddha Amitabha, the Buddha of the Western Paradise. Her neatly coiffed hair falls in two longs strands on her shoulders. Her finely detailed face has a demure, benign expression with downcast eyes, firmly closed lips and elongated ears. 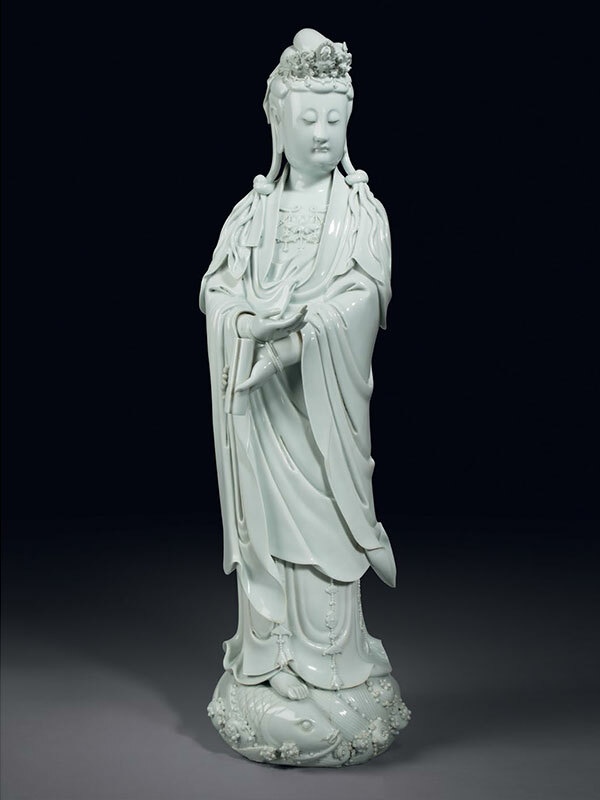 The figure is fully covered in a white glaze with a faint bluish hue. A four-character seal mark is impressed on the middle of her upper back, reading Bo Ji Yu Ren (meaning ‘virtue extends to all, even fishermen’).